What's causing your back pain? How can you treat it? Living with chronic back pain is not normal. It is a thief that steals your quality of life and makes everyday tasks harder. But, you don't have to suffer. There’s hope for getting back to feeling normal with customized treatment. The first step is to identify what is wrong. 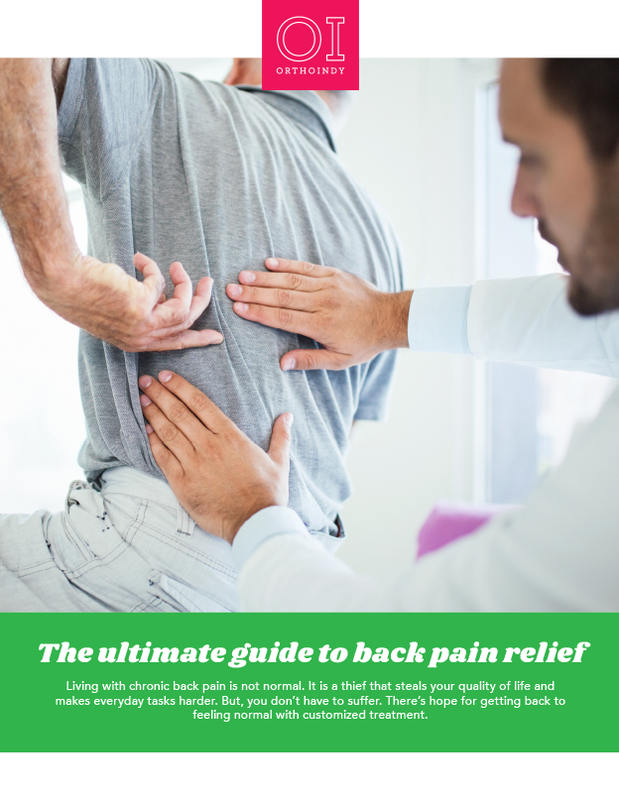 OrthoIndy’s ultimate guide to back pain relief will help you recognize your problem, understand what your pain means, where it comes from and what treatments are available. Whether you’re in the first stage of research or you’ve already decided to have back surgery, our guide includes answers to common questions and examples of patient success stories.